The West Coast Way is going to be pumping this December! 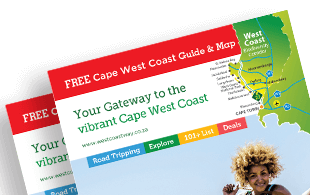 Think beach days, long lazy braais, exploring and more entertainment than you can imagine! 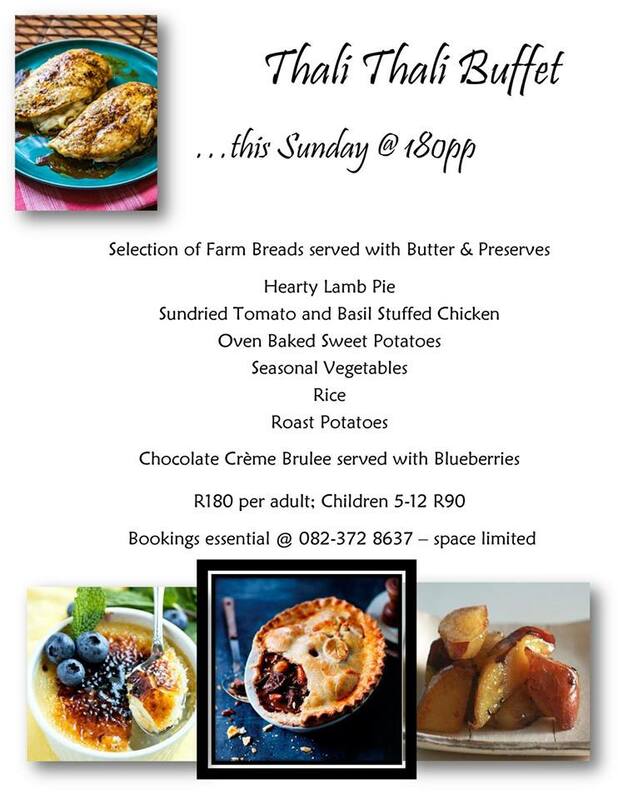 Description: Bring the family around to Thali Thali Game Lodge for their special Sunday Buffet. 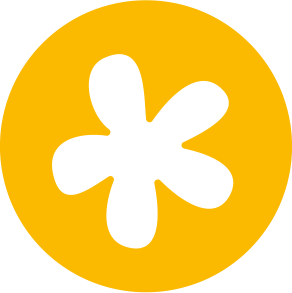 Menu’s change weekly, so be sure to check on their facebook page for an updated menu. 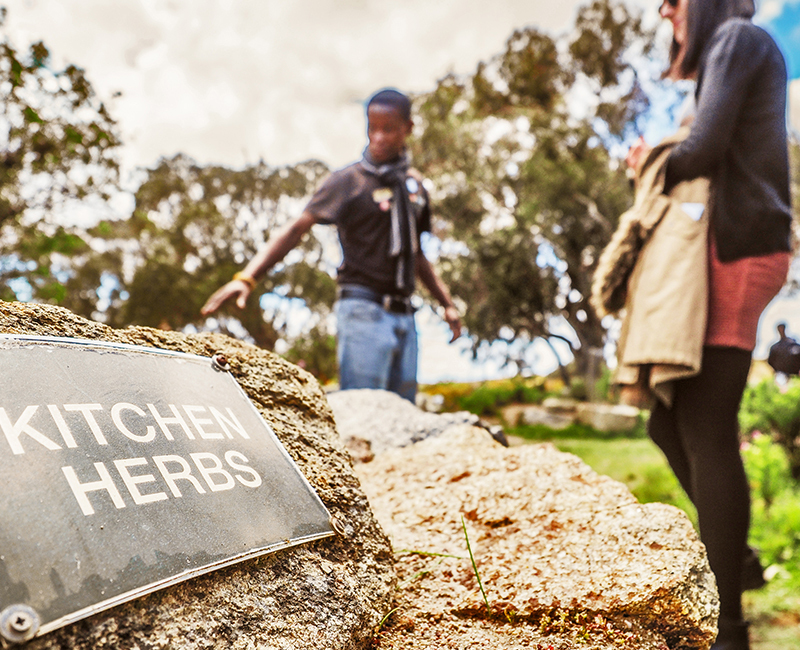 Prices range from R180 – R220 per adult and R90 – R120 per child. Bookings are essential. 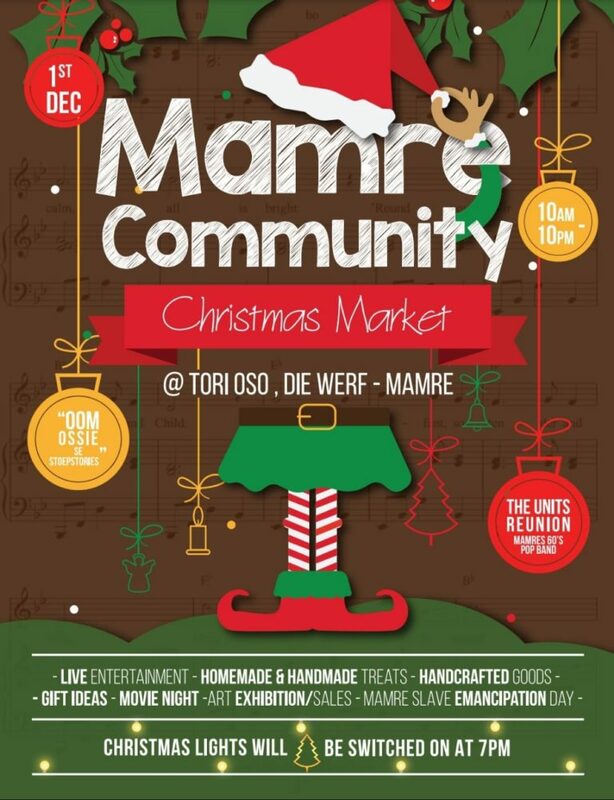 Description: Join the Mamre community at their annual Christmas Market! Bring the whole family for entertainment, stalls, movie night and they will be switching on their Christmas Lights at 7 pm. 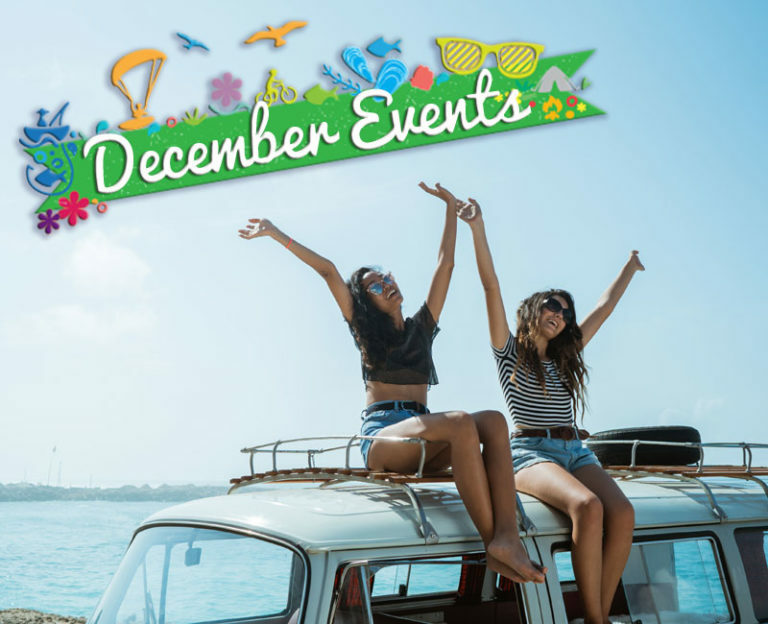 Description: The Bubbly & Gin Summer Festival returns on the 01 December 2018. 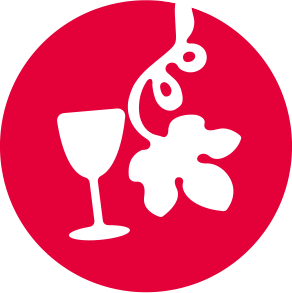 They have a festive day for you of Live Entertainment, authentic and boutique gins, SA’s top MCC’s and Bubbles. And included in your ticket is a Limited Edition glass and 5 sample vouchers to taste some of SA’s best Craft Gins and MCC’s. Plus there will be food stalls to enjoy with your Bubbles & Gins. 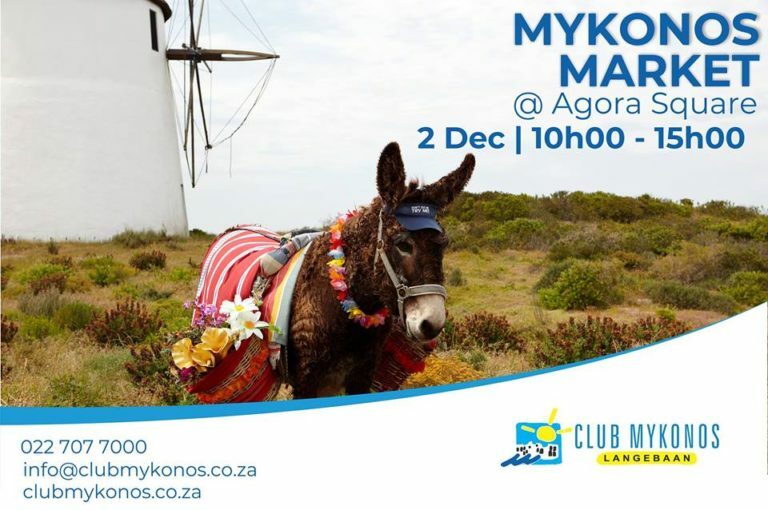 Description: Enjoy a delightful Sunday outing with the family at the Mykonos Market on Sunday, 2 December. Arts & Crafts, Food stalls, Cheese & Wine, Craft Beer, West Coast Coffee, Live Music and lots of fun activities for the kids! Description: ‘n Heerlike ontspannings geleentheid saam vriende en familie. Joshua na die Reen se HELE span sal hier wees om die aand saam met ons te geniet. Bring jou piekniek mandjie en stoel, ons sorg vir verversings en ‘n wonderlike aand onder die sterre. 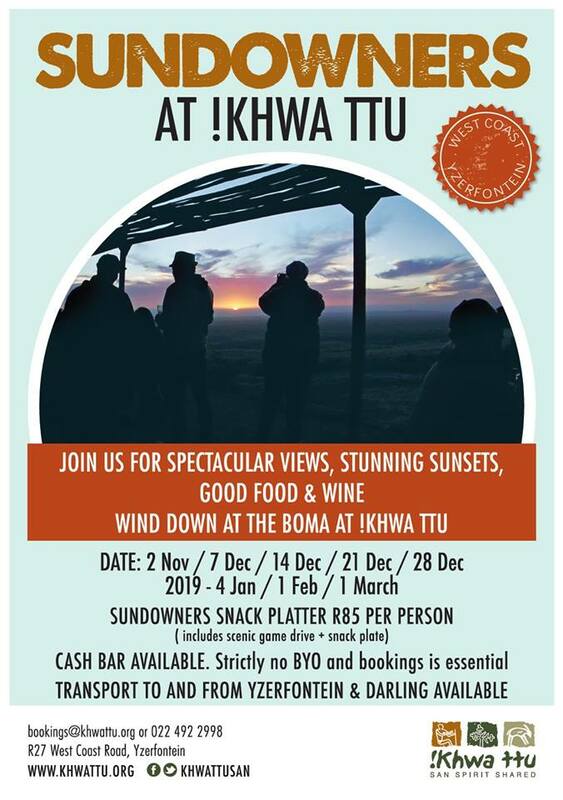 Description: Join !Khwa ttu for spectacular views, a stunning sunset, good food & wine. 1st Friday of the month through summer. 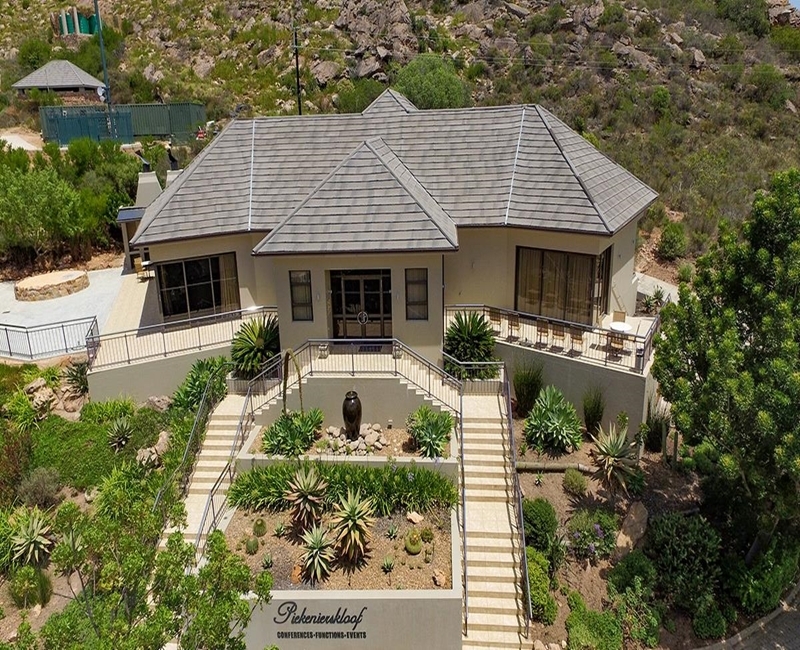 R85pp: Includes scenic drive & snack platter. Cash bar available. Strictly no BYO. 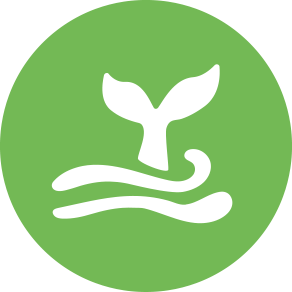 Transport available from Yzerfontein & Darling. Pick up: Yzerfontein Shell / Darling Engen, strictly 17:30. Please book to reserve your seat. 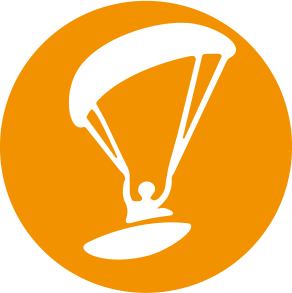 Description: Enjoy daily adventures at Khwa ttu this holiday! 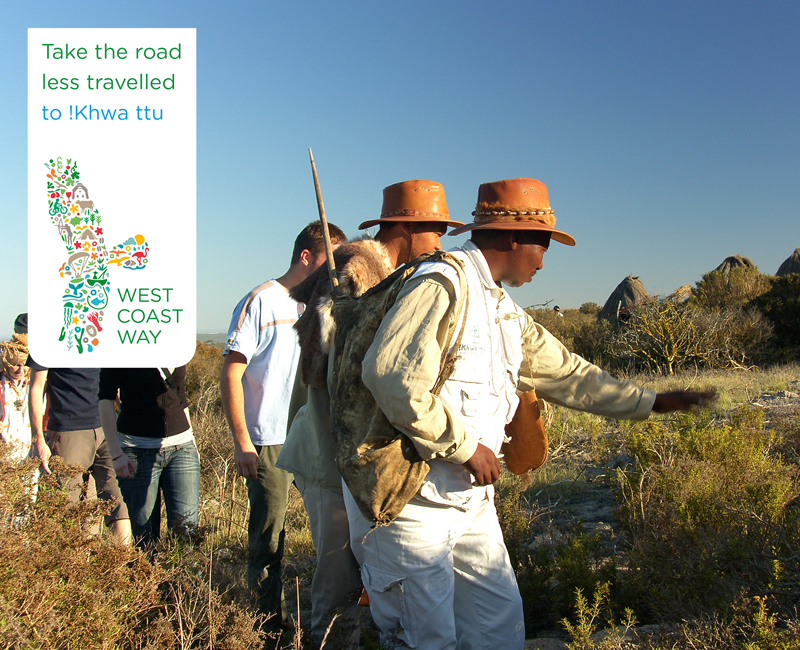 Activities include Walking, Bow & Arrow shooting, game tracking, drumming, games, and nature. 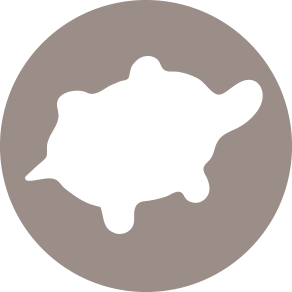 R110 includes refreshments. 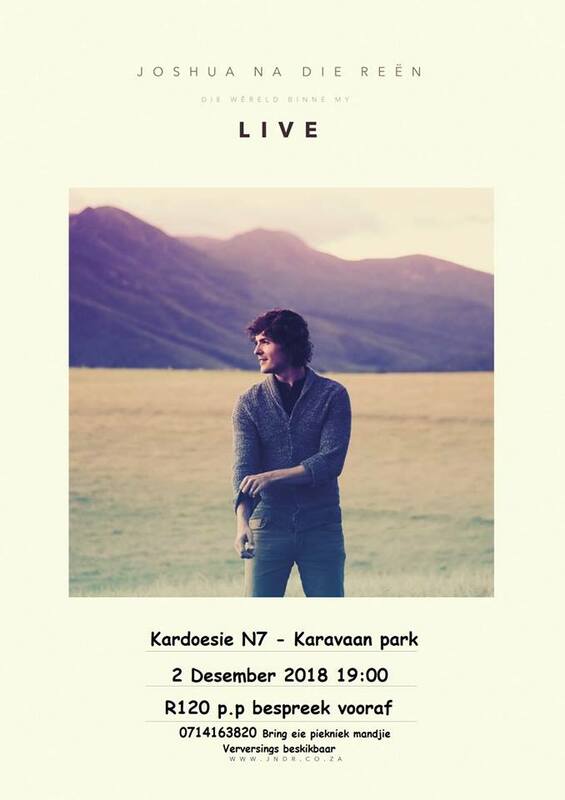 Description: Vensterklip bied n heerlike buitelug konsert vir die gesin aan op 14 Desember deur Jannie du Toit ten bate van Elandsbaai se verfraaiing. Daar sal n veiling wees en heerlike plankies met peuselkos. Kaartjies kos R190 per volwassene en kinders onder 12 is GRATIS. Bespreek n tafel van 6 of meer en kry 5% afslag. Wat van n personeelafsluitingsgeleentheid met n verskil! Spesiale pakket met akkommodasie @20% af op kaartjies! 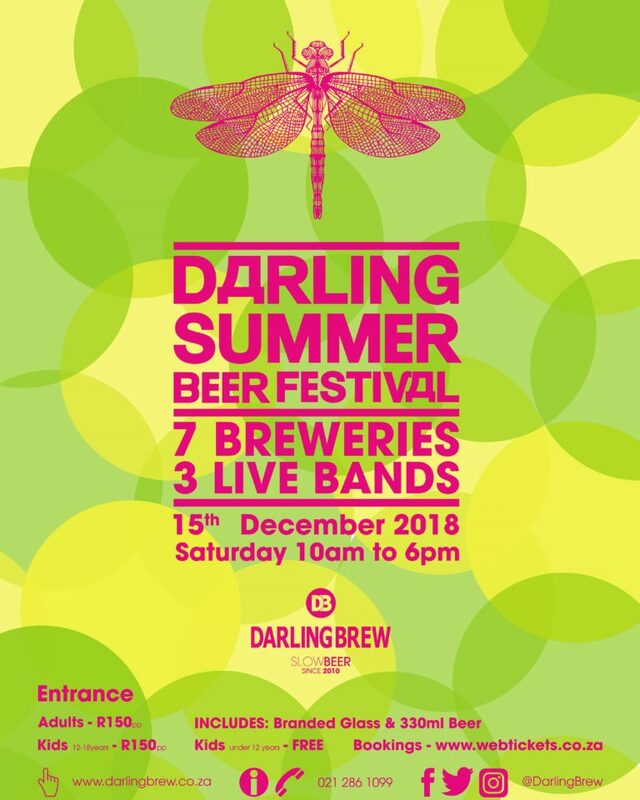 Darling Brew will host seven breweries, three live bands and a feast of food vendors at the Darling Summer Beer Festival on Saturday 15 December 2018. 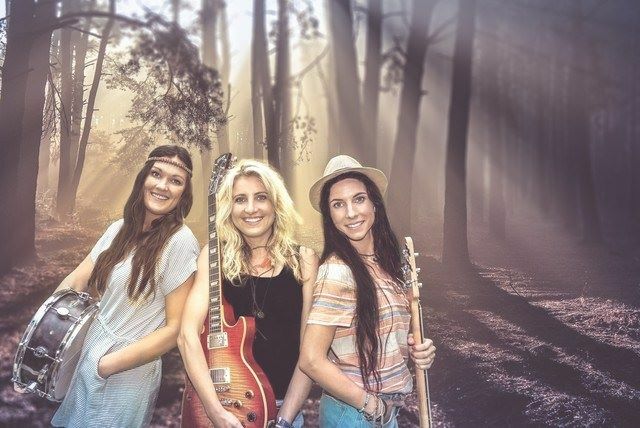 This annual event – held at their microbrewery in Darling on the Cape West Coast – kicks off Cape Town summer holiday season. Tickets are available online via Webtickets and at the gate. Tickets are R150 and include a branded beer glass and 1 free beer. Early Bird tickets are R120 and are available until Wednesday 14 November 2018. Children 12 – 18 years are R80 and children under twelve are free. Description: Guests can expect delectable country offerings including artisan foods, arts and crafts, as well as home-ware and décor. 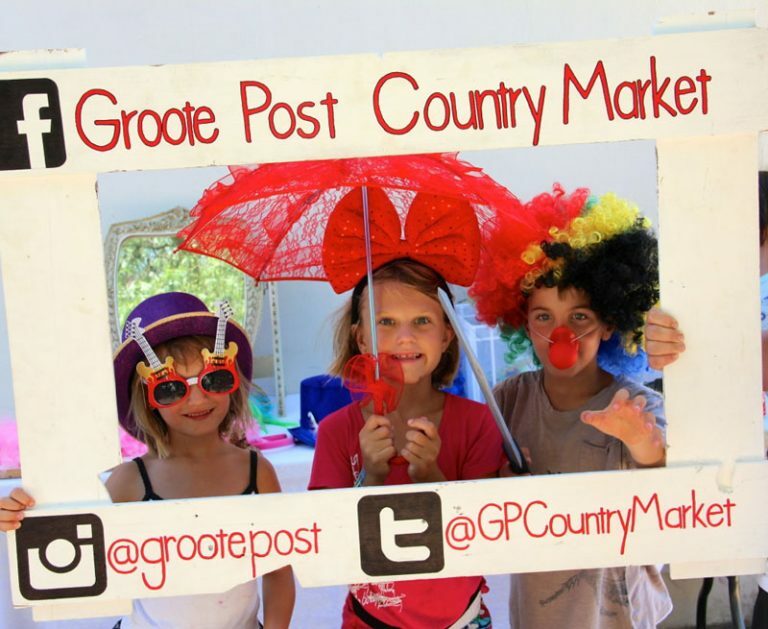 All Groote Post’s well-loved wines will of course be available for tasting and purchase by the glass, bottle or case. The kids will be kept busy with a wide variety of kiddies’ activities – tractor rides, glitter tattoos, guided horse rides and the popular playground. 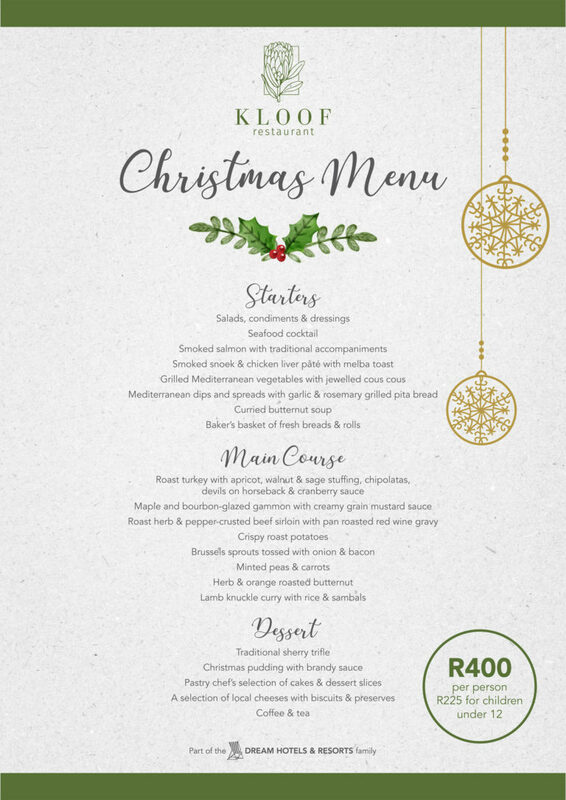 Description: Spoil the family with a wonderful Christmas Lunch at Kloof Restaurant. Enjoy an extensive and delicious menu. 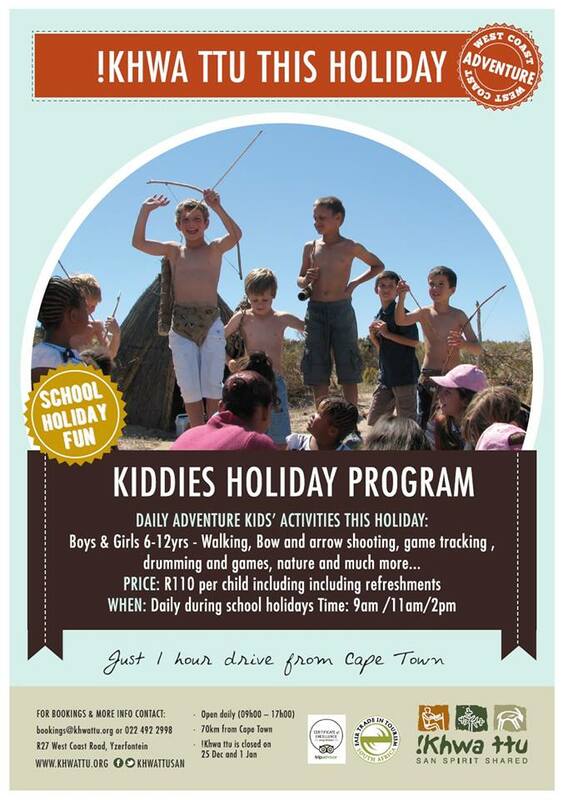 R400 per person, R225 for children under 12. 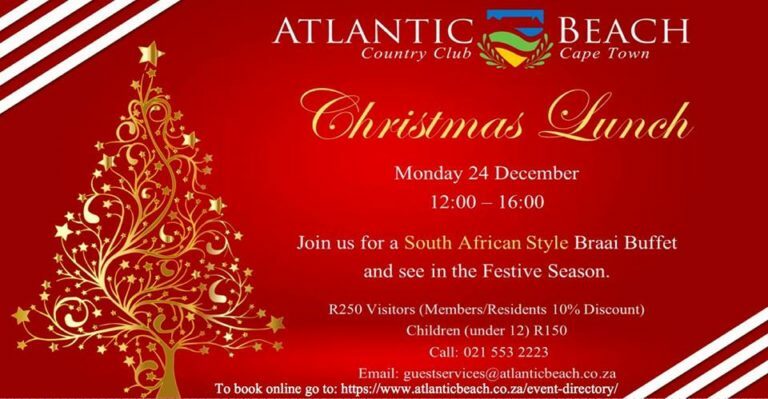 Description: Come enjoy Christmas Lunch with a South African Style Braai Buffet. 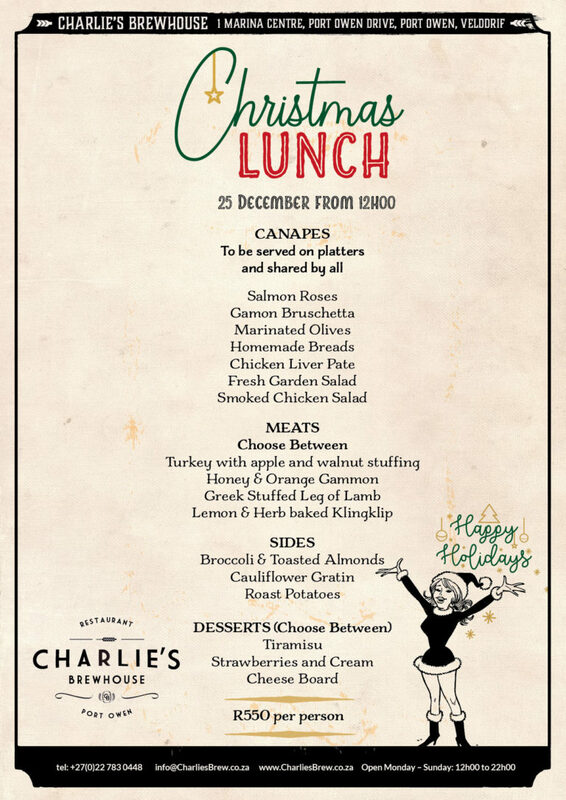 Their Executive Chef JT Strauss and his Team will have all the Christmas favourites for you to enjoy. 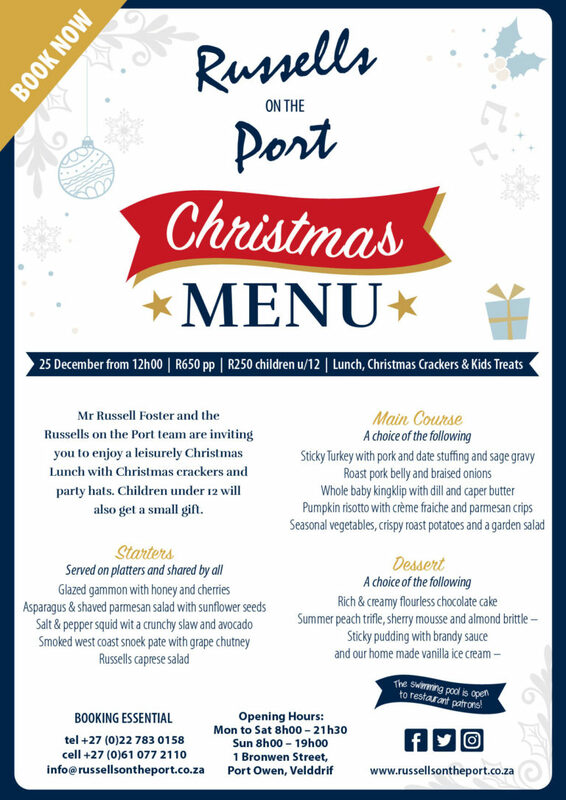 Mr Russell Foster and the Russells on the Port team are inviting you to enjoy a leisurely Christmas Lunch with Christmas crackers and party hats. 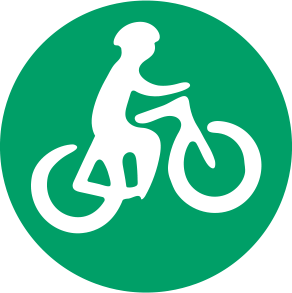 Children under 12 will also get a small gift. 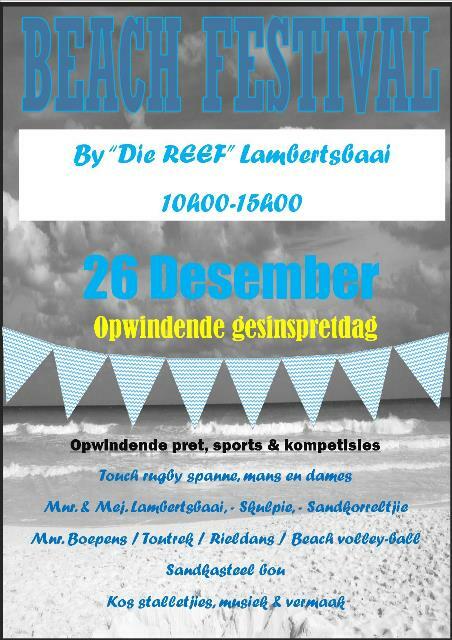 Description: Join in on the fun at the Beach Festival in Lambert’s Bay! Touch rugby, Food stalls, music and so much more! 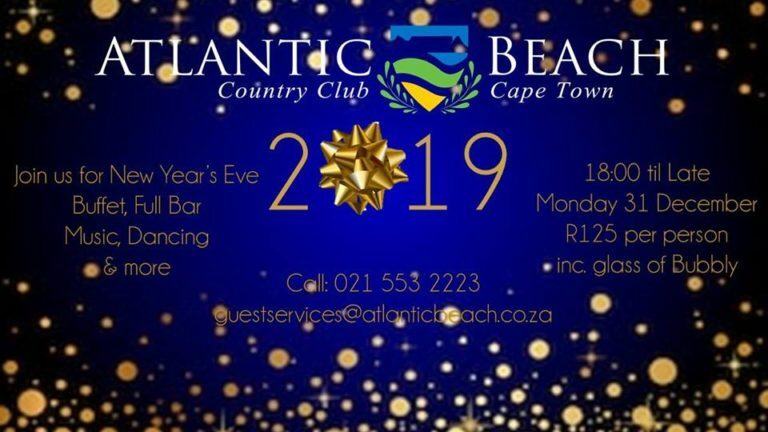 Description: Ring in the New Year at Atlantic Beach Country Club. 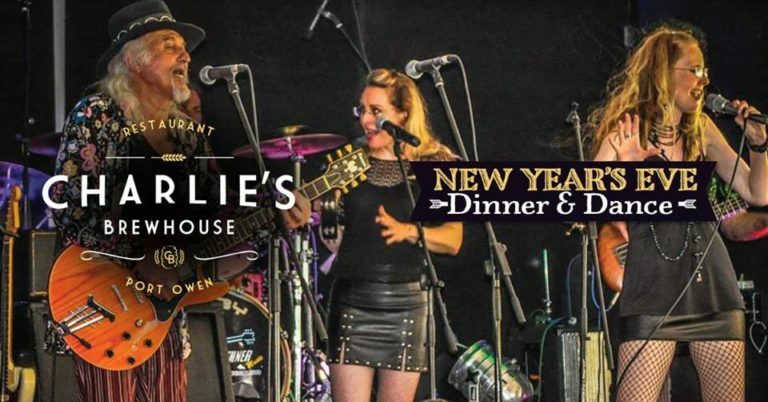 Buffet of delicious finger food prepared by their Executive Chef JT Strauss, Full Bar, Music, Dancing & more. 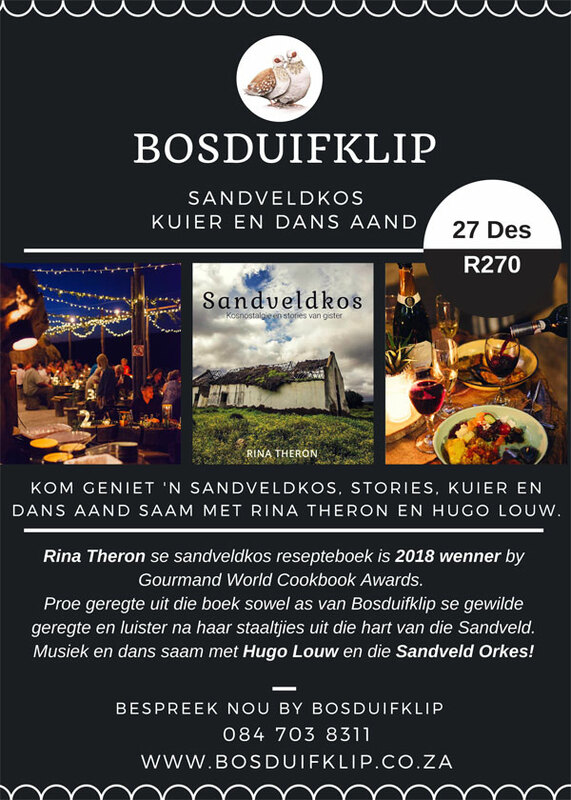 Only R125pp including a glass of Bubbly. 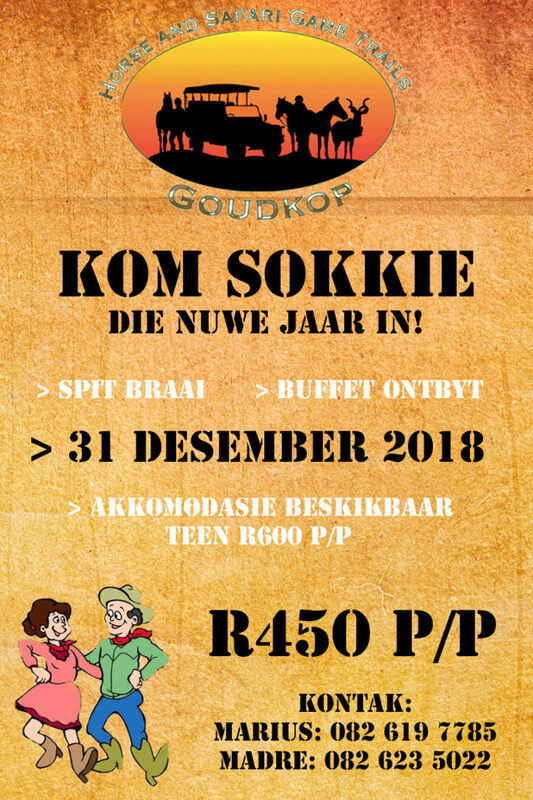 Description: Ring in the New Year with Goudkop. 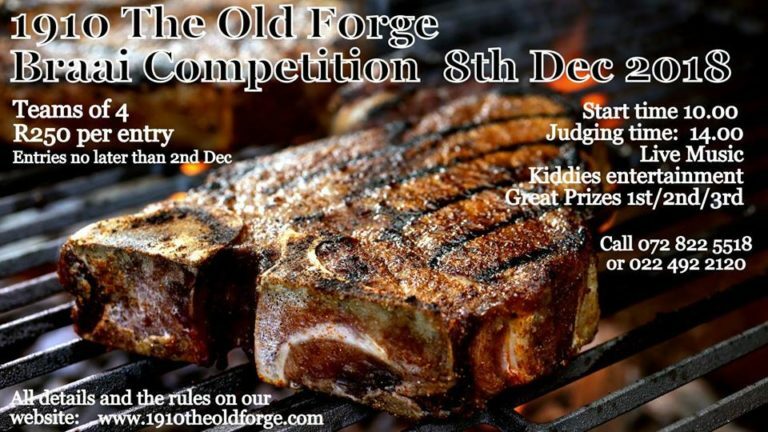 Enjoy a Spit Braai and Buffet Breakfast. Accommodation R600 per person and R450 per person for the New Years Eve Celebration. TRANSPORT AVAILABLE @R135pp | 60 Seater luxury return transport available from Langebaan, Britannia Bay or St Helena Bay at 18h45 to Charlie’s Brewhouse. 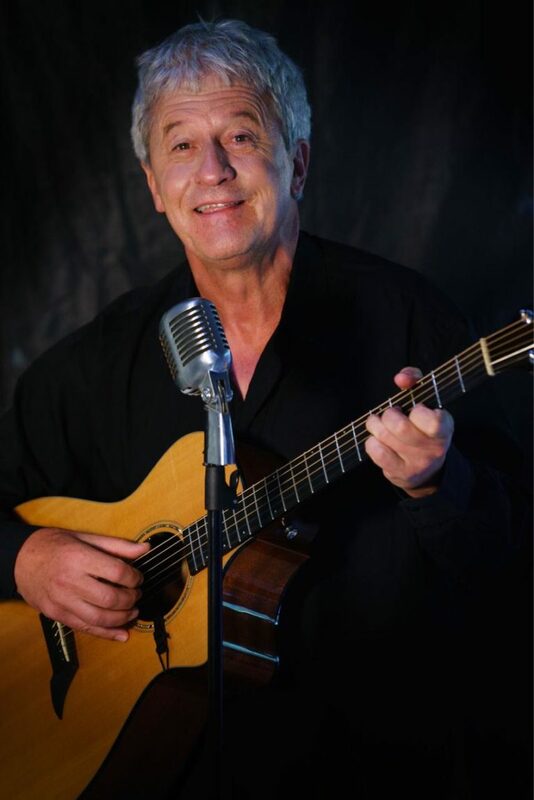 LIVE ENTERTAINMENT: Patrick Canovi featuring his 2 “blue-eyed” girls Natalie & Belinda from his “Kiss the Sky” Show Band. 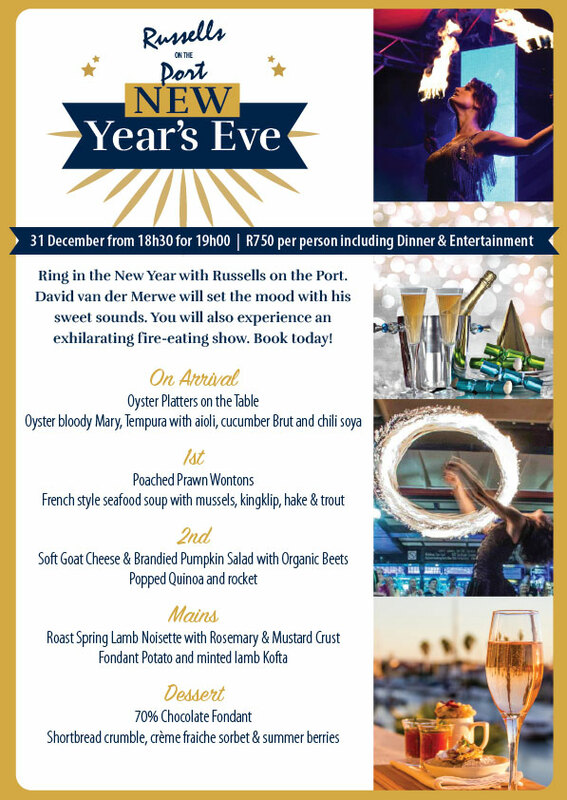 Ring in the New Year with Russells on the Port. David van der Merwe will set the mood with his sweet sounds. You will also experience an exhilarating fire-eating show. Book today! 60 Seater luxury return transport available from Langebaan, Britannia Bay or St Helena Bay at 18h45 to Russells on the Port.